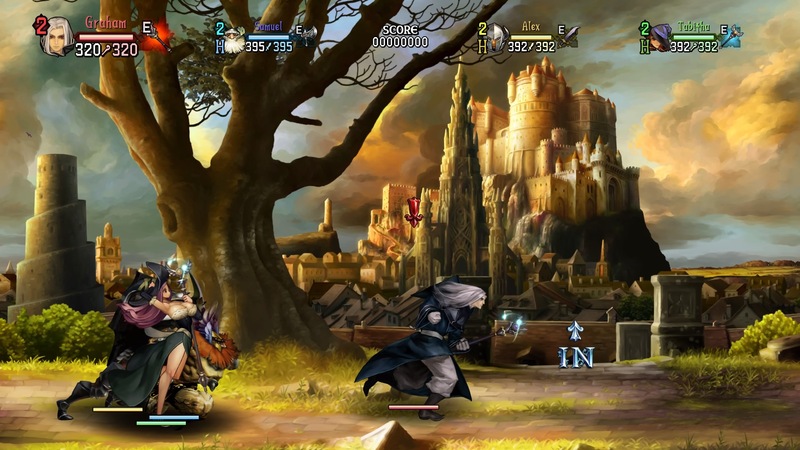 When I reviewed the initial release of Vanillaware’s Dragon’s Crown in 2013, I called it a bundle of contradictions: brilliantly elegant when it’s not mind-numbingly frustrating and gorgeous and lush when it’s not making you intensely uncomfortable. Five years later, we have Dragon’s Crown Pro, and it’s even more mercurial in this new incarnation. It’s the same game in the ways you want, but it also skips an opportunity to make small changes that could really improve the overall experience. In Dragon’s Crown, you control one of six classes, completing tasks and quests on the way to inevitably fighting a huge legendary dragon. 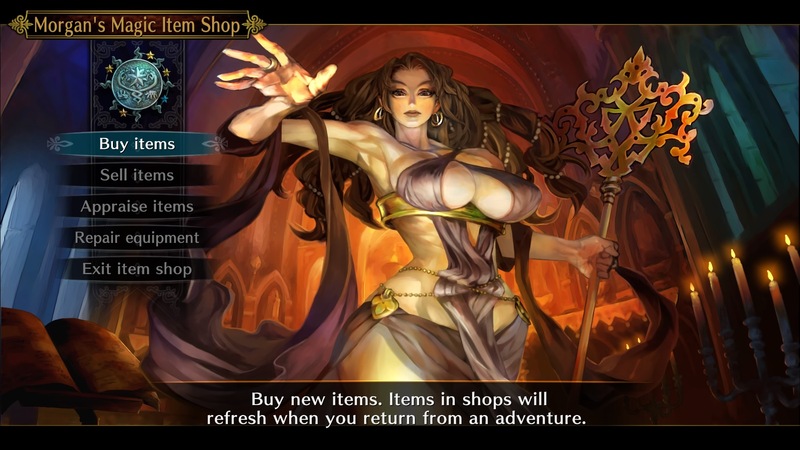 Nothing about this has changed in Dragon’s Crown Pro, and even if you missed it the first time, it may be familiar to those who have played the Dungeons & Dragons arcade games. George Kamitani, the game’s director, worked on those titles before starting Vanillaware, and this game’s the closest to those works that the company behind Odin Sphere and Muramasa has gotten. There are more acrobatic feats here, and the movement and combat are a bit more fluid, but it’s a game that embraces its retro roots in complexity and mechanical ambition. The six classes offer different styles for accomplishing your tasks. the Warrior and Amazon (and, to an extent, the Dwarf) like jumping into huge crowds and slicing through hordes. The Wizard and Sorceress have a pool of limited-use spells to combine with minor attacks, choosing the spots to be devastating and stemming the tide the rest of the time. The Elf is the game’s main ranged threat, and with lots of environmental obstacles and hazards, it can be quite effective to just pick enemies off from afar. Most of the time, though, you’ll probably just find yourself hitting the square button, as it’s a bit over-mapped. It’s your basic attack. It’s a charge or guard action. It’s the button you hold to dash while running. There are other actions that are duplicated over multiple buttons, so not using a shoulder button to dash, for example, seems a bit weird. For the simpler, easier-to-use characters like the Warrior, it’s more prominent, as you’re juggling the other functions less often. Your combat style can be shaped to a certain extent by which skills you choose. Each class has its own set to choose from in addition to the common pool of general traits, and the wealth of options means you won’t be getting everything that’s available. Specializing in a few makes for a better strategy, so if you prefer aerial attacks or a certain magic, you’ll be leaving other capabilities and spells by the wayside. 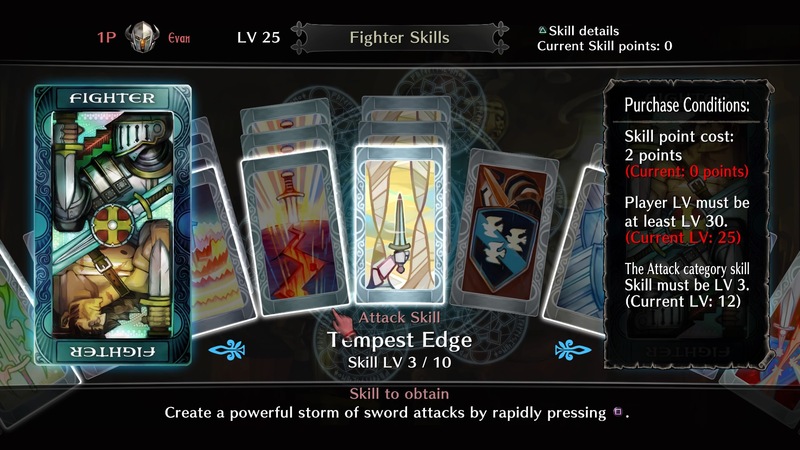 Mage classes will make heavy use of the shortcut system, letting you use spells and items by hitting up on the D-pad and a face button simultaneously. Warriors and such will find little reason to switch equipment, as in-mission inventory is very limited, but it’s an option regardless. Your combat style can be shaped to a certain extent by which skills you choose. You’ll also be sifting through lots of loot to find great new equipment for your character. At the end of each mission, you’re presented with your spoils, but you only know the type of weapon and what general rank it is. To use it or even know any specifics, you must pay to appraise it. If you know it will be weak, you can sell before you appraise and save a bit of cash. Getting loot is fun, but the vast amount of it, the process of getting and equipping it and the occasional frustration of dealing with everyone’s favorite game mechanic, depleting item durability, can get a bit tedious. Vanillaware’s signature detailed 2D art is here, it got a resolution upgrade in this re-release. You can now play in 4K on a PS4 Pro, and even the 1080p base upgrade is welcome. 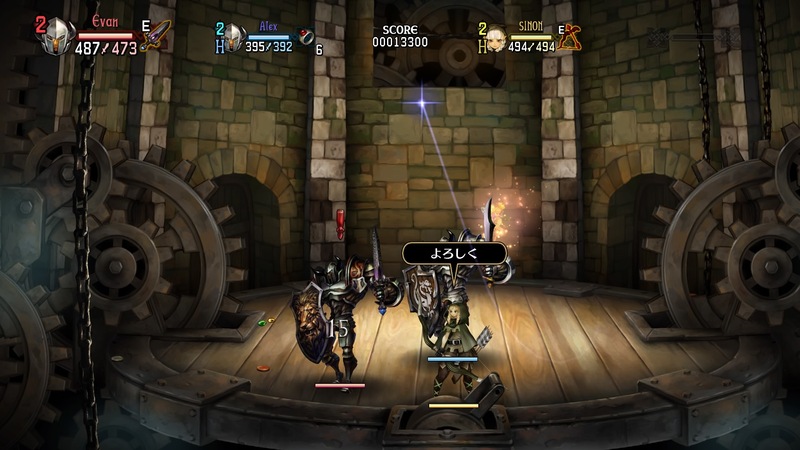 Small touches, like the rotating map and the subtle sheen of a river, make Dragon’s Crown truly a sight to behold, and games like this are always great for a TV showpiece even if they don’t have the technical expertise of the biggest Sony titles. The soundtrack has been re-recorded with full instrumentation, too, which is a nice touch even if the original wasn’t exactly bad. This edition of the Vanillaware style is one for which the game is, well, rather well-known, and that’s largely due to its character design. Two of the game’s six playable classes are the worst offenders: the Sorceress and the Amazon. Both are inadequately clothed, and feature exaggerated proportions that, combined with the game’s flowing animation style, just seem wrong. The other characters are exaggerated, sure, but the Sorceress ends up looking overtly sexualized and the guys just look like they have weird-sized heads or incredibly-large shoulders. It’s something with which many players have no problem, so go ahead if it doesn’t bother you, but with a multiplayer-focused game like this, it’s hard to get a full party together when your whole game group has to sign off on these choices. Even avoiding the two main offender characters doesn’t avoid the more egregious story instances. Pro includes all of the base game’s downloadable content, which… wasn’t much? If any alternate costumes were made available, having them bundled in here would have been a boon. More choices could have also solved some of the issues with distinguishing between fighters of the same class, as the slight color variations still get confused in frantic combat even with the resolution bump. As it is, you can… swap out the narrator voices. Not exactly reason enough to replay the game or justification for trying a game that didn’t mesh well with your tastes the first time. The original Dragon’s Crown felt like a game without a lead development platform, with a multiplayer focus that made little sense on the Vita and interface choices that didn’t seem ideal without a touch screen. Pro does nothing to change that, retaining all of the random items to collect on the screen rather than at all streamlining that process. It’s possibly a concession made to retain cross-platform compatibility (yes, you can play with those who have the old game, and cross-save totally works too), and possibly just a lack of development effort. Either way, time hasn’t been kind to that original decision. 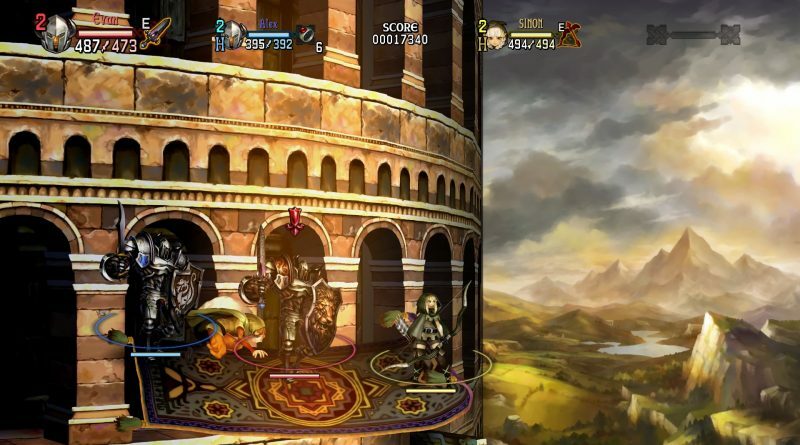 The original Dragon’s Crown felt like a game without a lead development platform, with a multiplayer focus that made little sense on the Vita and interface choices that didn’t seem ideal without a touch screen. Pro does nothing to change that. Pro also could have been made better with some optimization of the game’s quests and inventories. Only one player can take menu-based actions at a time locally, and this includes accepting quests. You’ll have the occasional frustrating moment when you head into a dungeon and fight all the way through, only to find out one of your four-person party hadn’t checked a box at a place in town when the rest of you did. Games had found much better ways to handle these things on the fly, even in 2013, and Vanillaware has had more than enough time to follow suit. 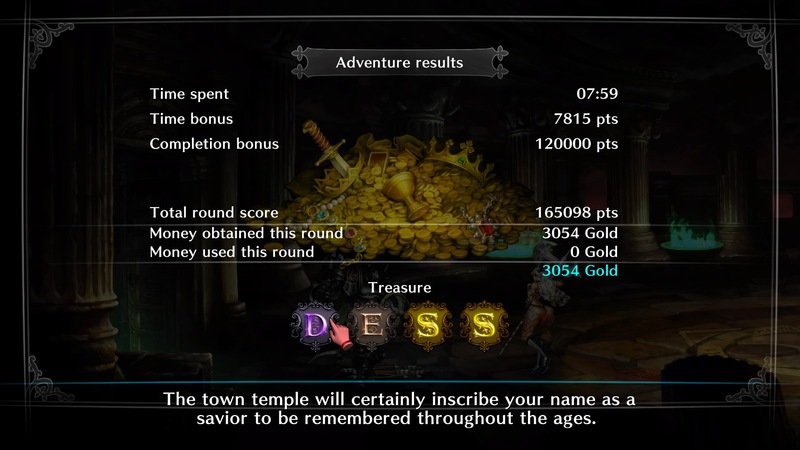 Dragon’s Crown Pro is, unapologetically, the same game it was in 2013, and it doesn’t exactly do itself any favors by presenting itself as a substantive upgrade rather than the slightly higher-resolution port that it is. 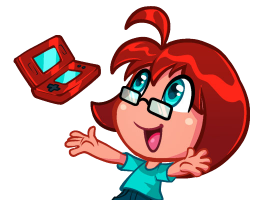 But there’s fun in the core gameplay here, and if you can tolerate the game’s many, many rough edges somehow not polished with the passing of time, it’s the sort of game you can throw yourself into for hundreds and hundreds of hours.